First Gay, Latino Inaugural Poet Chosen by President Obama! Felicidades, querido Richard! 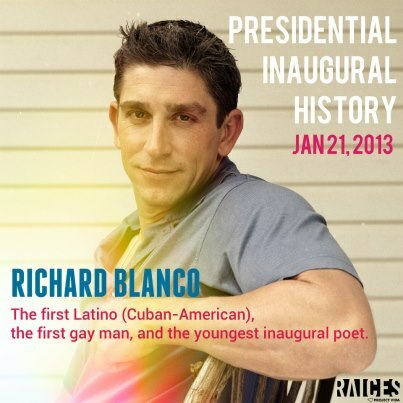 Richard Blanco, 2013 Inaugural Poet, first gay and Latino in U.S. history. 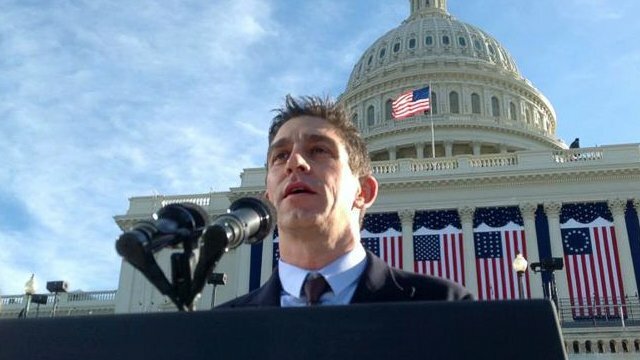 Washington, D.C. – The 2013 Presidential Inaugural Committee has announced that poet Richard Blanco is President Obama’s choice for his Second Inauguration–a gay of Cuban extraction who was shamed by his own family for being gay. In one historic move, President Obama has chosen the first gay man, the first Latino, and the youngest inaugural poet in U.S. history. According to Huffington Post, Blanco will recite a poem at the presidential swearing-in ceremony on the U.S. Capitol steps on January 21. Blanco is the son of Cuban exiles who fled to Madrid, where he was born. The family moved first to New York City, but then settled eventually in Miami, where Blanco was reared and educated. He now lives in Bethel, Maine with his life partner. Politico tells the story of the price he paid as a gay person in Latino culture–even in his own family. Cross currents of cultural identity–Cuban-American and gay–threatened to sweep him into depression or worse. Politico highlights Blanco’s essay, “Afternoons with Endora,” that appeared in the 2009 anthology, “My Diva: 65 Gay Men on the Women Who Inspire Them,” where Blanco describes himself as “a boy who hated being a boy.” As a child, Blanco says he retreated from playing sports to his notebooks, writing and drawing; that he much preferred women’s Tupperware Parties to Clint Eastwood movies. Achy Obejas, a commentator for WBEZ.org, reflects on the significance of Blanco’s selection as Inaugural Poet, and upon his reasons for crying for joy when he heard of the pick: “The President of the United States, the most powerful man on earth, has chosen a guy you know — a fag, a cubiche who likes to joke that he was made in the U.S. with Cuban parts, with whom you codeswitch about Miyami and lechón and our mamis — to consecrate this moment in history with his — our — words. 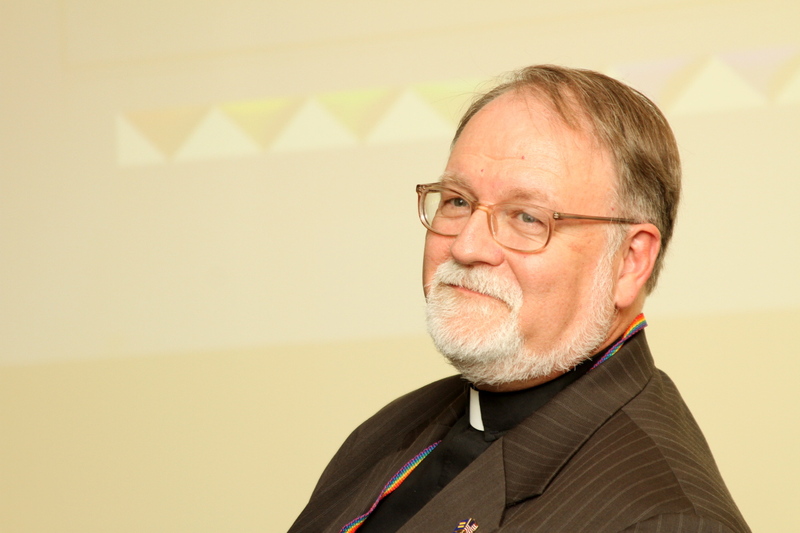 Blanco has had a distinguished teaching career at Georgetown, American, and Central Connecticut State universities. 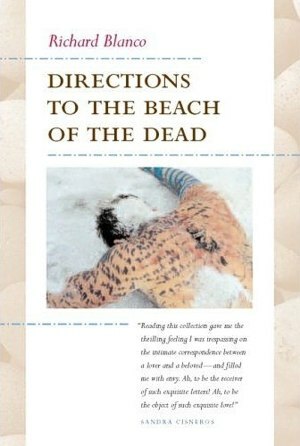 His award-winning books of poetry include City of a Hundred Fires, which won the Agnes Lynch Starrett Poetry Prize from the University of Pittsburgh, and Directions to The Beach of the Dead, which won the PEN American Center Beyond Margins Award. When Richard Blanco mounts the podium on Inauguration Day with the whole world watching, they will see a cubiche, no longer un mariconcito–but a spokesperson for all LGBTQ people whose longings are rising above the challenges of discrimination to the heights of full citizenship. “Felicidades, querido Richard,” indeed!